We'll help you elevate your business in just a couple of hours while taking our amazing Boot Camp! All attendee's eligible to win a FREE iPad. Social media is a powerful tool that many agents aren’t taking full advantage of to maximize their business. Sign up for a FREE Social Media Boot Camp seminar designed exclusively for real estate professionals. Our social media specialists will educate agents of all skill levels in social media and online marketing. Learn what social media is and its potential, the “do’s and don’ts” of social media etiquette, and how to utilize social media to grow your business. Dylan Handy is our social media marketing specialist committed to helping real estate agents reach their marketing goals. 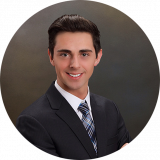 Dylan's passion for social media marketing is evidenced by his own growing online audience, as his enthusiastic and motivating coaching has helped agents all over the country grow their real estate business. 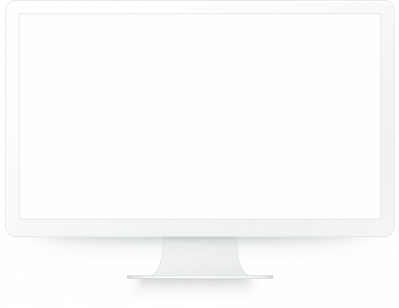 Dylan has dedicated his career to becoming an expert in technologies and marketing techniques specific to the real estate industry, so please take advantage of Dylan’s vast knowledge as he teaches you how to develop your social media marketing plan! Pam Gee is an expert at showing agents how to use and leverage social media to maximize their Real Estate Business. Pam has built a following of agents that have learned how to develop new leads and build their sphere of influence using online marketing and social media. She is an excellent presenter and has dedicated her career to becoming an expert in technologies and marketing techniques specific to the real estate industry, so please take advantage of Pam’s vast knowledge as she teaches you how to develop your social media marketing plan! 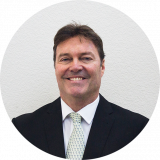 Brett is an MBA with over 25 years of marketing experience, mostly in the Real Estate information industry. His first technology presentation to agents was in the spring of 1992. Brett spent over 10 years as an evangelist for notable companies such as WyldFyre and eNeighborhoods. He has been a full-time licensed REALTOR® since 2004 prior to joining Elm Street Technology. Brett is also a certified CE Instructor in the state of Arizona teaching MLS classes. The growing importance of Social Media in real estate motivated Brett to join Elm Street. Take advantage of Brett’s vast knowledge as he teaches you how to develop your social media marketing plan! 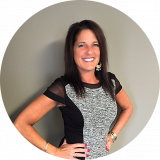 Sara Mahoney has over 17 years in advertising and marketing providing solutions for her clients and is a Social Media expert. As a social media coach, she brings unique and powerful perspectives to achieve social media success to the real estate market. She has been the driving force behind showing agents how to leverage social media to maximize their Real Estate Business. 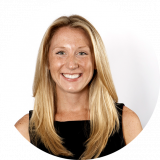 Prior to joining Elm Street Technology, Sara was Vice President of Account Services for an advertising agency in the Boston market where she managed the brand marketing, advertising, social media, promotion marketing and customer relationship management. Contact Sara today to book your next Social Media Boot Camp! We'll help you improve your life in just a couple of hours while taking our amazing Boot Camp! Copyright © Elm Street Technology, LLC. All rights reserved.